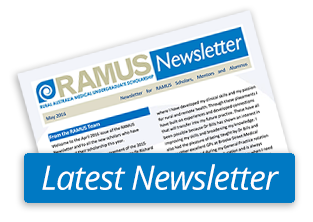 Given the changes currently underway to the overall rural health scholarship system, new RAMUS scholarships are no longer available. The Commonwealth Government announced, as part of the 2015 Budget, that the Rural Australia Medical Undergraduate Scholarship (RAMUS) is closed to new entrants. 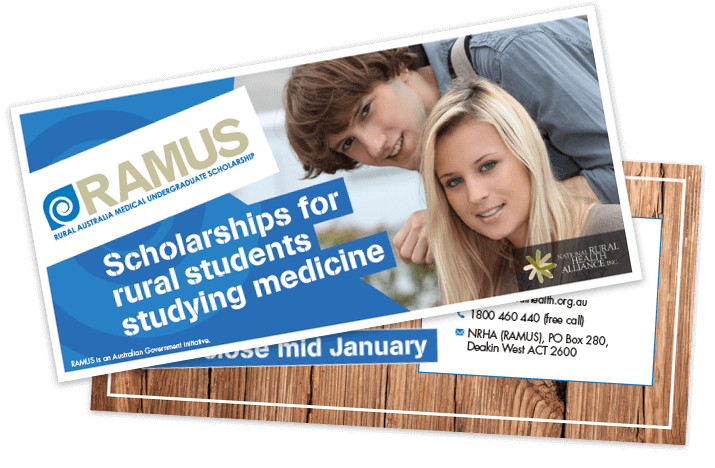 The RAMUS Scheme assists selected students with a rural background to study medicine at university. In addition to their rural background, RAMUS scholarship holders are selected on the basis of financial need and demonstrated commitment to working in rural Australia in the future. RAMUS scholarship holders receive $10,000 a year during the completion of a standard medical degree at their chosen university. This financial support assists scholarship holders to overcome the financial barriers to studying medicine at university, particularly the costs of moving and living away from their family support structures. The scholarships are not bonded. Scholarship holders are encouraged to take part in activities to maintain and strengthen their ties to rural Australia and to develop an appreciation of work as a medical practitioner in rural areas. All scholarship holders have a rural doctor as a mentor and are required to be a member of their university’s student rural health club. 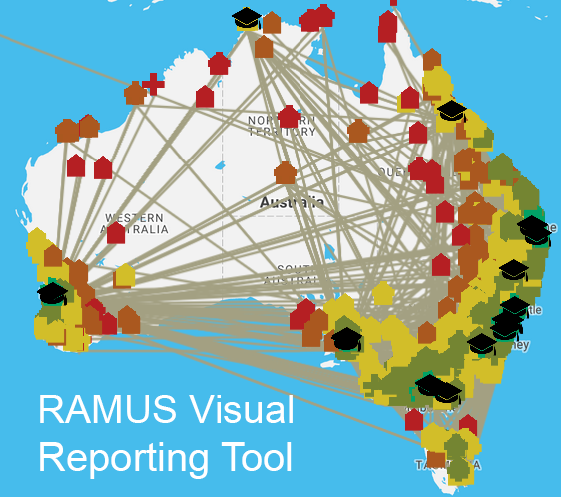 The RAMUS Scheme was established in 2000. Since then, almost 2,200 scholarships have been awarded to rural medical students and over 1,600 RAMUS scholars have graduated from medicine. More than 500 rural doctors across Australia participate in the Scheme as mentors. The National Rural Health Alliance administers the RAMUS scheme on behalf of the Department of Health.